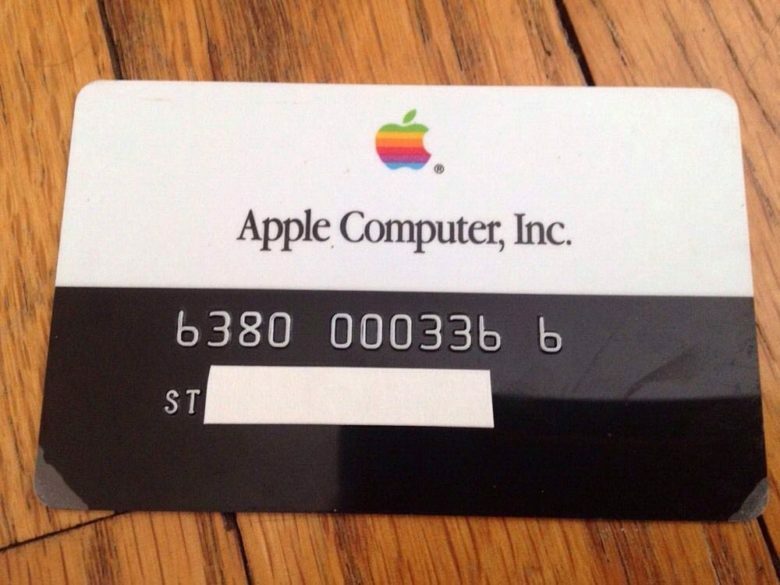 An Apple credit card said to be from the 1990s. 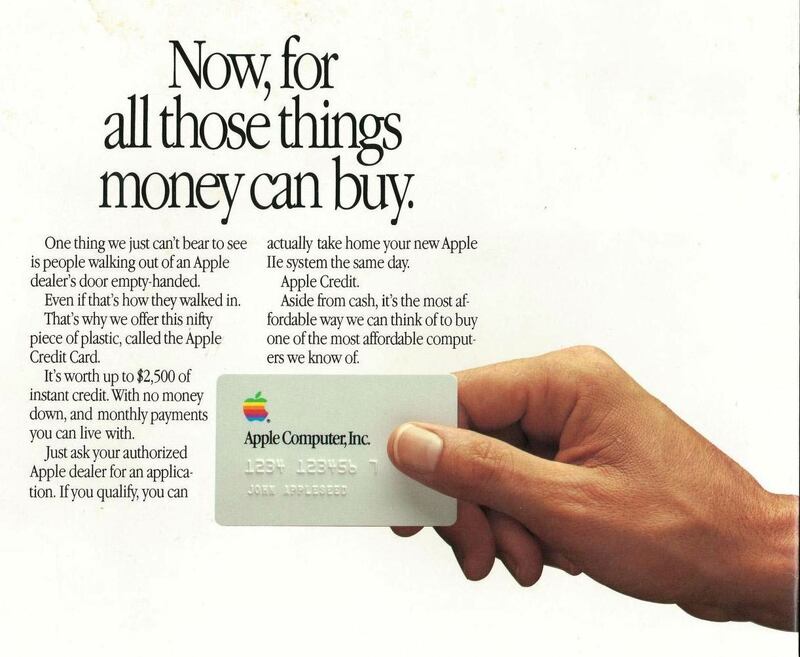 The new Apple Card may be titanium but it’s not the first Apple-issued plastic. Some Twitter and Reddit users with amazing recall reacted to the news by posting ads from 1986 promoting two kinds of credit cards issued by Apple. The number of credits cards issued by Apple in the 1980s and 90s or when the program was discontinued is not clear. 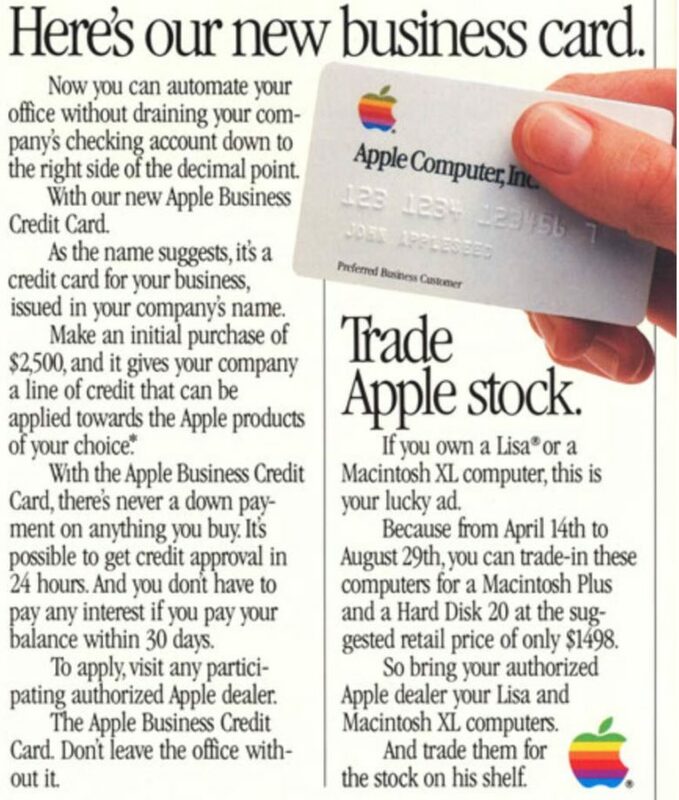 Computer magazines ran adds for an Apple Business Credit Card and a consumer credit card, each initially worth $2,500 in instant credit. If you qualified in 1986, you could leave the store with an Apple IIe. The business card came with a bonus offer. Cardholders could trade in an older computer, like the Apple Lisa or Macintosh XL, for a newer Macintosh Plus and Hard Disk 20, then retailing for $1,498. Apple eventually changed the design, centering the logo and branding on the top half of the card. The branding had a white background, while the other half was black with the number and card holder’s name appearing in white. There is a version of this “ULTRA RARE 1990s” Apple credit card currently for sale on eBay for $150 with 12 days left. A similar card sold on eBay last October for $158.95. With that said, eBay pickers could see a few more vintage Apple credit cards posted in the days to come. Don’t expect the price to stay under $200.